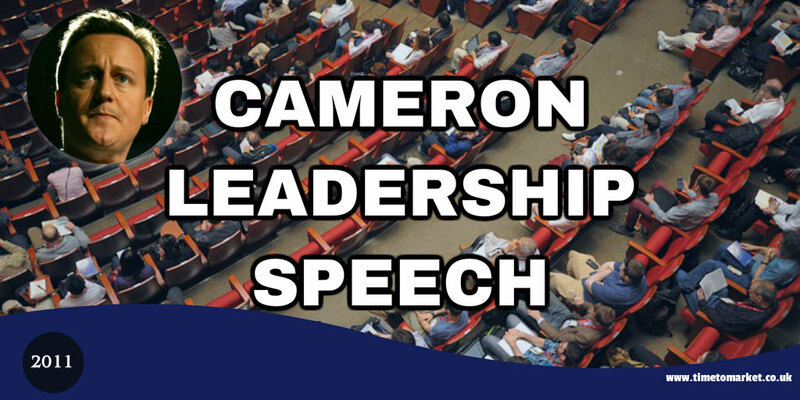 This was an optimistic David Cameron leadership speech as he concluded the Conservative party conference in Manchester yesterday. One might take exception that the speech took more account of optimistic rhetoric than optimistic plans or optimistic policies…but that’s a comment for others to make. His speech titled, “Leadership for a Better Britain“, was notable for its upbeat tone. Yes, it acknowledged the economic challenges ahead but it called for dynamic action…not that the actions were spelled out. Using some very simple language and his trademark short sentences, his leadership speech explored the economic uncertainties, the achievements to date and future unknowns. A few months ago I was in Nigeria, on a trade mission. While I was there, I visited a vaccination clinic. It was very hot, pretty basic and the lights kept going off. I know you can’t see it or feel it yet. But think of it like this. The new economy we’re building: it’s like building a house. The most important part is the part you can’t see – the foundations that make it stable. Slowly, but surely, we’re laying the foundations for a better future. That worked. But somehow we had the feeling that there wasn’t too much detail to the plan anyway. So let it be this party that helps tear it down. Yes – the Conservatives are back in government. Some say that to succeed in this world, we need to become more like India, or China, or Brazil. I say: we need to become more like us. Remember: it’s not the size of the dog in the fight—it’s the size of the fight in the dog. You know what the Shadow Chancellor, Ed Balls claimed last week? That Labour didn’t spend more money than they had “available”. Hello? Ed “you spent £428 billion more than you had “available”. A marvellous use of the inquisitive Hello? Yes, way more and way better. Perfect. Let’s look forward to an utterance of, “it’s well good, innit” in a future speech. But seriously, adapting his language for his audience is part of this speaker’s success. It was clear that the Prime Minister enjoyed his leadership speech. He sounded slightly throaty but still put in a good PR man’s performance. My favourite line? This isn’t how a great nation was built. Britannia didn’t rule the waves with arm-bands on. Reaching the conclusion to his speech, this line preached to the converted and got his audience ready for his final call to arms. 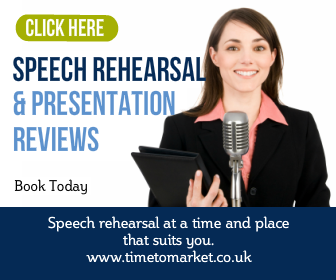 You can discover a complete series of tips for public speakers with our top tips, podcasts and videos. 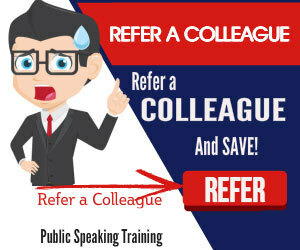 And, when you are ready for some more intensive public speaking training, don’t forget that a well-timed training session before your next conference leadership speech will always give you a boost. So, when the time is right, please don’t hesitate to get in touch. Very interesting! Its just great the way analysis the speeches.